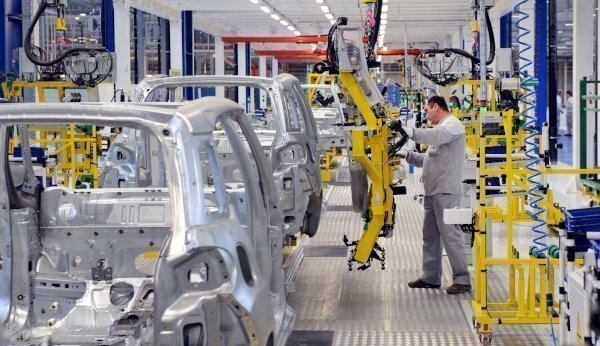 The automotive 3D printing market size is forecasted to grow with a CAGR of 25 percent, to be worth over US$8 billion by 2024, according to a report by Global Market Insights Incorporated. Advancements in 3D printing technology in the automotive industry have changed the ways products are manufactured, developed, designed and distributed—products are lighter, safer and cleaner with newer designs and shorter lead times. The growth of the 3D printing market in the automotive sector is driven by the increasing need for low cost and more efficient technology to produce complex and high-quality products which traditional methods cannot fulfill. Additive manufacturing reduces production time as multiple stages can be combined into a single production step. This also eliminates the product assembly stage and reduces logistic transport costs. 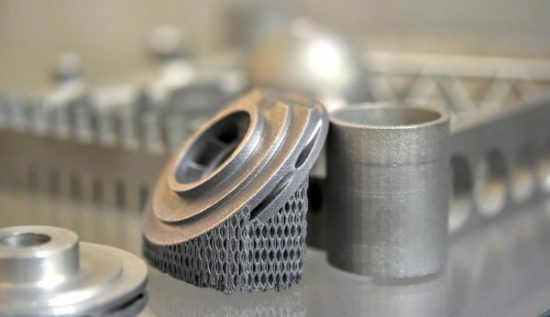 Increasing number of government initiatives to invest in additive manufacturing technologies and consumers demand for new innovations and lower prices are further propelling the market forward. Additive manufacturing allows freedom of design and production of different products in any sequence. Hence, customised products are possible and automotive companies are able to include customers in the development process. The Asia Pacific automotive 3D printing is expected to grow with a CAGR of over 29 percent. The growth in the Asia market is accelerated by increasing public and private establishment investments as regions are exploring various opportunities to enhance productivity and competitiveness. Major companies operating in the automotive 3D printing market includes Ponoko Limited, Hoganus AB, Exone, Voxeljet AG, Arcam, Startasys, Autodesk, 3D systems, Materialise, Nano Dimension, Proto Labs, SLM Solutions Group, Electro Optical Systems, Concept Laser, and Renishaw Plc. Additive manufacturing of metal is popular, but some end user companies are reticent about in-house printing of metals parts. Article by SmarTech. This is, we believe, a powerful factor creating opportunities for metal additive manufacturing service bureaus. This article defines five factors that have some service bureaus planning for a doubling the number of metal machines in 2019. 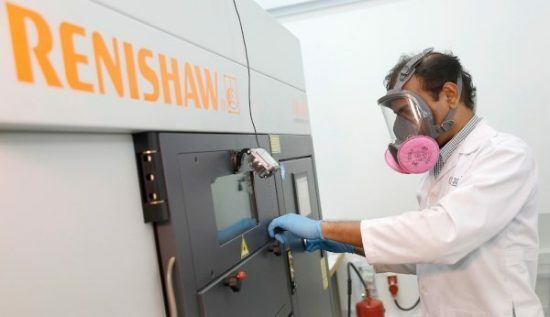 In the future service bureaus are likely to lose business to in-house 3D printer deployments for polymer printing, but their metals business may increase. Additive manufacturing with polymers is more user-friendly than metals printing making the capital and expertise easier for end users to move the process in-house. There are more process parameters and knowledge involved with metal printing. And, on the materials side, new metals may require special techniques and expertise that are not easily or quickly achieved in-house. This “tribal” knowledge will help service bureaus keep their competitive advantage longer as metal AM becomes more cost-effective and user-friendly. Metal 3D printers will reduce in cost in the next few years – we have already seen how this could happen from the latest HP and Desktop Metal products. Nonetheless, SmarTech Analysis believes that the combination service provider knowledge, supply chain efficiencies, and high-capital cost will keep metal service bureaus competitive for the foreseeable future. The current high level of publicity being afforded to metal printing automatically enhances the prospects for metal service bureaus. Hot topics are, by definition, of immediate importance, but they tend to cool down relatively quickly. It is to be expected that metal additive manufacturing will eventually become less hot as it matures and becomes just another process in the engineering toolbox. Yet, less attention doesn’t necessarily mean that market growth would stop, just that investors’ enthusiasm might shrink. A classic driver for companies to not 3D print in-house is that some companies just don’t have the capital. The impact of this market driver in metal AM is likely to intensify in the future as more end-user firms find they have a need for metal AM but cannot justify the capex. Service bureaus also offer a way for companies to dip their toes in the AM metals business without having to invest heavily in the equipment, expertise, or time associated with bringing the process in-house. Some companies may even have the capital, but due to fluctuations and volumes the return on investment (ROI) of in-house metal AM is too low to make it viable. Offering metal 3D printing won’t tie down a service bureau, and a company can test the market to verify a parts value before investing the capital to move production in-house. Service bureaus may be able to handle large and complex parts more effectively and efficiently than in-house printing can. Being able to process large parts will give a service bureau additional value. Bringing metal printing in-house is already difficult enough, adding larger more expensive equipment adds complexity. Finally, understanding different materials, process capabilities, and how complex features can change a design will be the experience service bureaus should have that will prevent or delay companies from moving in-house. Simple design concepts, post processing, and even part orientation can help produce a better product. Expertise in a particular industry provides a competitive advantage for service bureaus. It enables a service bureau to better understand its customers and for both customers and service bureaus to interact in a more effective way. As a result, some service bureaus are specializing in customers from the aerospace industry or the medical sector. Specialized automotive service bureaus are also expected to appear in the near future. These comments apply to polymer AM as well as metals AM, but we note that specialist aerospace and automotive bureaus both have a strong metals orientation. Metals service bureaus that understand the needs, operations and traditions of big metal-using industry sectors are in a better position to win customers than those who don’t. If 3D printing were a human being, it will be on the verge of adulthood. All the broad outlines are already there, but it might well still have some surprises up its sleeves. Here we take a look at the key trends. By Dr. Thomas Fehn, General Manager Additive Manufacturing, Trumpf. 3D printing is on everyone’s lips, but the term has come to mean very different things to different people – or perhaps it always did. In the case of metal 3D printing, new methods seem to be taking root on an almost annual basis. The idea of constructing parts layer by layer in a powder bed has inspired numerous engineers and developers. Three methods that have already become well established are laser metal fusion (LMF), electron beam melting and binder jetting. They share the limelight with the nozzle-based method of laser metal deposition (LMD) – another additive manufacturing (AM) process – as well as wire-based methods that are also classified as LMD. Measured by market share, LMF and LMD are currently the top AM methods for producing metal parts. But ask “What’s the best method for me?”, and there is unlikely to be an easy answer, because each method has its ups and downs. For example, LMF may be the best option for producing parts with delicate structures at the highest level of quality, but binder jetting can do the job between 10 and a hundred times faster. If 3D printing were a human being, it would arguably be a gifted 17-year-old. The broad strokes of the teenager’s personality and talents are already visible. The parents can hazard a guess at which direction their offspring is likely to take but, however much the teenager tries to act cool, there is still much they need to learn. Yet so much has already been achieved: the child has learned to walk and talk, read and do math. They have already done their first part-time job and been praised for their efforts, and now they are busy cramming for their high school diploma. There’s something in the air, a sense of freedom and independence, a new dawn. 3D printing is at a similar stage. Engineers and universities are continuing to probe and develop new ways of using the technology. Yet 3D printers have also been in fully fledged industrial use for many years, especially in pioneering sectors such as the aerospace industry. The teething troubles that dogged it in the early stages – especially with regard to the reproducibility and robustness of the process – have been left behind, conquered by the machine-makers’ skills. 3D printers are gaining ground on the shop floor and ready for industrial use. More and more business people see the technology making inroads into their industry and are seriously considering jumping on board before their competitors take the plunge. But what are the key trends they should take into account before making their decision? The first thing to consider is the build chamber. In principle, it’s true that the more lasers you have in a 3D printer, the faster you can build parts. This simple equation has fuelled the commercialisation of multi-laser machines with two, three or even more lasers. Unfortunately, however, it’s not that simple, because there are all sorts of other factors that play a role, too. One of the keys to boosting the productivity of 3D printing is to find the optimum combination of scan field, scan speed, temperature adjustment, temperature field, build speed, and gas flow in the work area. The number of lasers and their power output is just one factor among many – though it is certainly one of the most expensive of all the factors involved. In some cases, a fourth laser can increase the cost of the system by 25 percent while only increasing productivity by a decidedly modest two percent. Often it can be more profitable to start with seemingly less trendy components of the machine such as the build chamber heating system. A smart heating concept is worth its weight in gold because it keeps the printing process stable and increases overall productivity. Some multi-laser machines with large build chambers promise to speed up the job of producing bulky parts with the argument that two lasers can build the rear portion of the part while the others focus on the front. That also seems sensible at first glance. But the crucial question is what happens in borderline areas. If the lasers’ scan areas are too far apart – in other words if there is not enough overlap between their work areas – then the part ends up with non-homogenous sections and ugly seams. During use, these often mutate into unwanted, yet effectively predetermined, breaking points. What this comes down to is that you can’t identify a highly productive 3D printer by the number of lasers it has, but only by its overall design. Another aspect of the trend toward multiple elements is the idea of combining 3D printing with other machining methods in a single machine, for example with milling and drilling. Unfortunately, that typically ends up transforming the unquestionable marvels of 3D printing into an annoying drag on the other built-in processes. The reality is that the expensive, integrated milling cutter spends half the day waiting around idly for the 3D printer to reach a certain stage in the build process. Then it leaps into action for two minutes, before returning to its slumber for the remainder of the day. No production planner with any sense would install a high-end milling machine on the shop floor if it was hardly ever going to be used. Right now – and even in the longer term – the difference in processing speeds between 3D printing and traditional methods is simply too great to offer any good reason for combining them in the same machine. That is no longer the case for other additive manufacturing methods, however, such as laser metal deposition. However important it may be to ask “How many lasers does the part need?”, it brings into focus a perspective that has traditionally, and understandably, been very narrow. For years, everyone was fixated on the build chamber. Just like with any new method, engineers initially focused on how they could get the process under control and make it faster. And they succeeded: Over the past five years, they have managed to increase the productivity of the LMF process by a factor of three – a truly remarkable achievement in such a short space of time, and a trend that is likely to continue for some time to come. But the time has now come to adopt a wider perspective by focusing on the upstream and downstream stages of the process. These include unpacking the powder, refilling the machine, sieving the powder and checking it is mixed correctly, as well as blowing or shaking off excess powder, removing parts from the build plate, removing any supports they may contain, and carrying out finishing work on the surface. That’s where some of the greatest potential lies to accelerate and possibly automate individual steps, for example through powder management. An automatic, self-contained powder handling system is also an appropriate response to occupational health and safety issues, which play a bigger role in the broader industrial environment than they used to. The problem here lies in the metal powder itself, which poses a health risk and should not, under any circumstances, be inhaled. Currently, however, only the biggest companies are opting for the most complete automation solutions for production integration. In contrast, traditional job shops generally prefer to operate their 3D printer in isolation, rather than incorporating it directly in other production processes. But however big or small their business, all 3D aficionados have a shared enthusiasm for good software. New concepts are opening the door to a self-contained software process chain without any frustrating interfaces – a chain that stretches from CAD data modelling right through to finishing work. Apropos these post-processing stages: the supports required by the first generation of 3D parts once formed a magnificent bridge into the realm of this exciting new technology. They still have their uses today, but industrial-scale deployment has revealed their drawbacks by highlighting the increased cost and effort required during post-processing. This realisation is a great example of what industry needs right now: new ideas that cater specifically to 3D. The visionary power of 3D printing has always stemmed from the design freedom it offers. Parts can be formed exclusively on the basis of their functionality – and nothing else. Yet the greatest advantage of 3D printing is, at the same time, its greatest challenge. One of the toughest tasks design engineers face is how to rethink existing parts and leave old conventions behind. 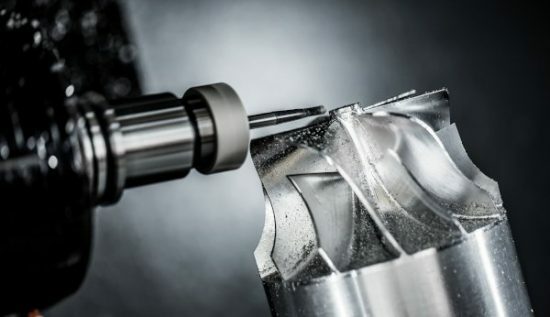 Most part developers have learned to base their designs on the intended machining process, and in doing so they have assimilated a number of what they considered to be ‘golden rules,’ for example “You can’t drill around a corner”, “You can’t cast a cavity”, and so on. Particularly in the early days of the 3D revolution, design engineers struggled to liberate themselves from this traditional mode of thinking. Many 3D printed parts greatly resembled their conventional counterparts. But now things have changed. More and more universities and apprenticeship schemes are teaching budding designers to think free form, with no inhibitions concerning the production process. Now the first of this new generation are graduating and looking for jobs. 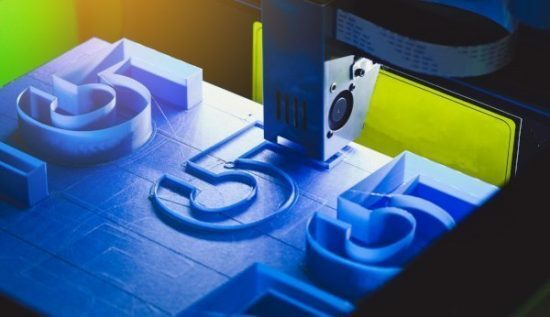 Equally, some suppliers of 3D printing technologies responded quickly to the huge demand they saw in this area and began supporting their customers with training courses in free-form design. Unlimited design freedom is increasingly becoming a core component of training courses, especially in Germany and Switzerland. China, too, has seen which way the wind is blowing and is teaching its design engineers accordingly. The new generation of designers are likely to make fundamental changes to the shapes and forms of future parts. At the same time, on the software front, design and simulation programs are improving all the time and automatically suggesting 3D-specific design options. All this will give industrial 3D printing even more of a boost – and that prompts the question of why the laser should only be melting metal. Material diversity – a long underrated argument in the 3D printing debate – is now emerging as one of its most decisive strengths. Both LMF and binder jetting offer levels of flexibility in this respect that are quite simply beyond the scope of other methods. A huge array of metal powders are now commercially available. Users worldwide can acquire them quickly and easily, mixing them together to meet specific requirements. They include a class known as Inconel alloys, which can easily withstand temperatures in excess of 1,000 degrees Celsius in turbine blades. Equally impressive are the special alloys that allow parts to withstand extreme bending – alloys that can only be processed by 3D printers. One of the key trends in 3D printing involves new functional materials that go beyond metals, because laser beams are also perfectly capable of melting other materials. Metallic glasses are one example: In the near future, we are likely to see high-grade optical components and mirrors coming out of 3D printers. Meanwhile, developers are currently working on ways to get ceramic powder into 3D printers – another material that is prompting a great deal of interest. 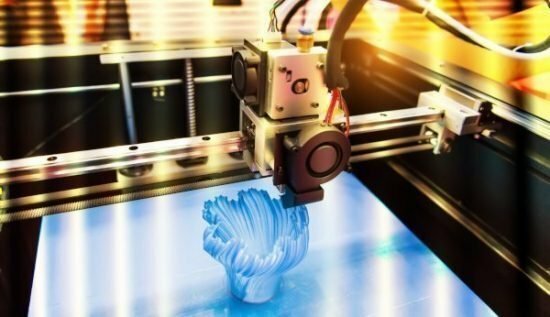 The more sectors we see taking the plunge into 3D printing with their industry-specific requirements, the greater the variety of machines and production concepts that are likely to emerge. Something that is good enough to meet the stringent quality standards of the aerospace industry is likely to be far too over-the-top for a moldmaker’s needs. This kind of differentiation is also compounded by the increasing wealth of available materials. Much of the road ahead is already clearly signposted, but there are bound to be a few surprises, too. So here we have our 17-year-old, a gifted teenager striding proudly and boldly into the world of industry. The parents of 3D printing can finally sit back and relax, safe in the knowledge that their teenage prodigy can take it from here. 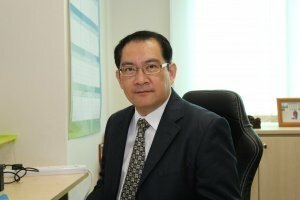 Asia Pacific Metalworking Equipment News is pleased to conduct an interview with Mr Lim Boon Choon, President of Hexagon Manufacturing Intelligence, APAC, regarding current trends in metrology. Could you provide us with an overview of the current trends regarding metrology in metalworking? Metrology continues to be important to assure quality in the final products, but customers are beginning to see the importance of process control, not just quality control. By process control, I mean getting metrology into the production area as well, and not just the quality room. By installing hardware and software in the production area, customers can check critical dimensions directly during the production process and ensure that the products are within specifications. This will help to ensure that there is less chance of products getting into the metrology room a few hours later and finding that the products do not meet the requirements and must be scrapped or re-worked. Another trend is the use of non-contact scanning. Customers are coming up with very highly polished materials or mixture of different materials that may be sensitive to scratch marks. Non-contact scanning prevents scratches and speeds up the inspection very quickly. The third trend is the increasing use of additive manufacturing as a complement to traditional manufacturing. How has Hexagon kept up with these trends? Over the years, Hexagon has developed or acquired various technologies that allowed us to implement in-line, next-to-the-line, or off-line inspection. We help customers build quality into their process from Design and Engineering, to Production and to final inspection. Increasingly, we also provide automated inspection systems that allows customers to use metrology in the shop floor to control the process and reduce scraps and rework. For example, our AICON TubeInspect solution is a unique equipment for customers producing tubes. They can place their tubes in our system which measures the bending angles within a second and calculates the correct bending parameters to be sent back to the tube bending machine. This kind of close loop process helps customers to get their tubes right quickly and saves a lot of time and cost of rework. We also have software like NC-SIMUL that simulates the machining process, Hexagon production software for finding the best cutting strategy, SIMUFACT for CAE simulation of additive manufacturing, Q-DAS and eMMA to monitor the manufacturing process and manage the relationship between parts, shop floor and portable CMM that allows us to measure the parts directly in the production area. Another example of our products being shop floor ready is that we designed our CMM to have in-built message lights (Global S CMM), and pulse sensors that monitor vibration, humidity, temperature in real time. Hexagon is now helping customers to optimise product innovation at various stages like Design, planning, production, quality assurance and post Production, and also our ability to link and integrate all data through our Smart Factory solutions and Assets Management system. What are the main challenges faced by the metrology industry? With the market going for more innovative products that may be highly customized, manufacturers are faced with high mix low volume situations. They need solutions that are easy to implement, robust and well connected to their manufacturing systems. Many customers know that they need information to make good decisions, but there is a general lack of understanding of what can be done to tap in the information from various equipment (connectivity problem), and how to get actionable data; not just data, but actionable data. It boils down to leadership. Leaders have to be bold, have vision and courage to change. Start small and scale up quickly. Rethink quality. Quality is not just in the quality room but should be built into the products right from how we design the product, how we ensure the design is strong, can be produced cost effectively, and the equipment and software are suitable to produce the product consistently. Look into process control, and not just quality control in the Quality room. Moving forward, where do you think the industry is headed in the next 5 to 10 years? With the push towards Industry 4.0, and especially with government encouragement and funding, I think manufacturers will want to implement more and more smart systems – automated solutions on the shop floor and monitored with software that gives them smart diagnostics and even artificial intelligence built in to identify problems early. Process control and non-contact scanning will also be increasingly prevalent. Since the 19th century, manufacturing has rapidly evolved the creation of goods and given us highly complex supply and value chains. Article by Terrence Oh, Senior Vice President (Asia Pacific), EOS. Now, Industry 4.0 and smart manufacturing are on the tip of everyone’s tongue, representing a whole new industrial revolution in the thick of the digital age. Even though most are talking about it, there are very diverse thoughts about the whole picture of Industry 4.0 and a few examples have already shown success. 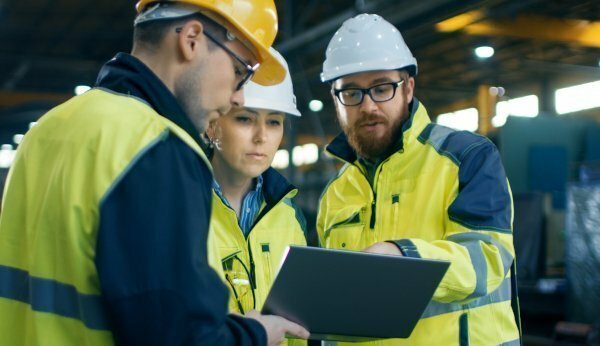 One common aspect all approaches have in common is their focus on data, its evaluation, interpretation and usage to improve metrics like overall equipment efficiency (OEE). The next wave of transformation in manufacturing will be due to and combination of intelligent components and digitalised production. These combine to achieve intelligent, digitally produced components for smart applications. The outcomes will be unique market winning smart applications, that are produced in efficient and effective smart factories. Moving from Industry 3.0 to 4.0 requires huge efforts in digitising complex supply chains. It usually focuses on implementing all technologies and supply chain steps into one digital thread ideally. In order to increase the flexibility of such digital supply chains, additive manufacturing (AM) can significantly reduce the complexity. This leads not only to the opportunity of a digital thread, but also to the reduction of production time, assembly steps and scrap. Powder bed-based AM technologies allow production flexibility to be increased due to their nature – a generative production process with almost no geometric limitations. This production flexibility is the basis for a future, fully digital production, enabling global manufacturing of intelligent parts, with a digital thread throughout the full lifecycle. Data will be generated from each batch of base material onward to the data collection during the final performance of a produced part. The ‘3igital’ concept will enable additive production of intelligent components, with digital production chains, for smart and integrated applications. Even today, additively-produced components are meeting requirements from a wide variety of industries to generate substantial added value. A next step will be to expand the advantages of additively produced components. For example, by integrating sensors to create intelligent components. The goal is to completely integrate data generation and sensor systems, which turn additively produced components into smart applications that are highly tailored to customer-specific requirements. The component data is now available from design to production, to the ‘intelligent’ part and can be collected throughout the life cycle of the component. In the end, we have a chain of innovation comprising of intelligent components produced in a digitalised 3D printing production chain. In the last area when the parts are used, they will provide valuable information that can be used to improve the use of the parts, the production chain and the component design. This opens up completely new perspectives for end-to-end linking of the design, production, and utilisation of the component, thus also permitting continuous optimisation. This can result in efficiency gains beyond the boundaries of the company, resulting in changes in entire value chains. In other words, the future of manufacturing is not only linked digitally and additively, but, above all, it is integrated – becoming a true disruptor in digital manufacturing. By channelling our efforts into growing this technology and through integration, AM is already tapping the next technological dimension for the future: intelligent components – additively produced by a digitalised production cell – for smart applications. One of the many benefits of additive manufacturing is the ability to make tools with near-net-shape cooling. Tools manufactured in this way dissipate the heat generated during the production process directly at its source. This reduces cycle time and improves the quality of the fabricated parts. Producing parts by injection molding or die casting generates heat. To dissipate this heat, manufacturers equip the molds with cooling channels that help keep temperatures as stable as possible to prevent distortion of the part and similar problems. Conventional methods such as milling, however, soon reach their limits when it comes to creating these channels. “The difficulties are particularly evident with more complex shapes: we can’t get the drill into all the right places because we can’t drill around corners!” said Marc Dimter, a TRUMPF industry sector manager who is responsible for tool and mold making. In contrast, 3D printers build up the mold layer by layer, enabling the construction of cooling channels that run almost parallel to the tool wall. The biggest benefit is the reduction in cycle time that stems from faster cooling of the tool. In many cases, quality also improves because parts are less prone to distortion. What’s more, faster cooling results in more homogenous material properties in both injection molding and die casting, ultimately making parts more resilient. Despite these advantages, German toolmakers have been slow to adopt additive manufacturing technologies. “Many companies lack the necessary expertise and are unwilling to make the investment,” said Christoph Dörr, who also works at TRUMPF as an industry sector manager for the tool and mold making industry. He notes that US companies that supply their molds to Europe have already built up a strong lead. TRUMPF’s plug and play design of its TruPrint 1000 3D printer system—an entry-level model, is easy to install and operate, and it is particularly suitable for small injection mold inserts such as those used for plastic connectors in the electronics industry. “We’re hoping to inspire toolmakers to exploit the huge potential of 3D printing. That’s why we also offer them training in 3D design,” says Dörr. Miniaturisation plays an important role in many industries, including machining manufacture. Therefore, clamping chucks also have to become smaller, more precise and more powerful. The requirements cannot be met with conventional manufacturing – MAPAL therefore relies on additive manufacturing by selective laser melting. Article by MAPAL. Whether in electrical engineering, medical technology, the aerospace industry, the watch industry or robotics and mechanical engineering – many products are becoming ever smaller, yet smarter, more user-friendly and more powerful. The topic of space is therefore crucial. Because space is not only limited on the wrist, in trouser pockets, on board an aircraft or in the human body, but also in the production halls of companies. This requirement gives rise to the demand for productivity in the smallest possible space, which transfers the cycle of miniaturisation to the entire value-added level. Machine and tool technology in this small sector requires more and more functions having to be fulfilled in the smallest space, also in the area of clamping technology. The radial run-out accuracy of the clamping chucks for a chipping thickness in the range of a few thousandths of a millimetre must be almost zero. This is the only way to achieve good surfaces at maximum spindle speeds with a long tool life. In addition, it must be ensured that any contamination due to microparticles is excluded. Another important topic for machining in the miniature sector is the supply of coolant lubricant. Too much medium means complex downstream part cleaning, too little or no cooling leads to a loss in quality and productivity. If handling should also be simple, conventional manufacturing reaches its limits. The smaller the tool and clamping chuck, the easier handling must be. Because with each reduction, the handling of external peripheral devices becomes more complicated and more difficult. With shrink or collet technology, it also takes considerably longer for the tools to be ready for use. In the case of multi-part attachments, the individual deviations of the components also add up to a considerable error chain. At MAPAL additive manufacturing by selective laser melting is used in all product areas. And this is the case in all situations where additively manufactured products can offer clear added value for the customer. 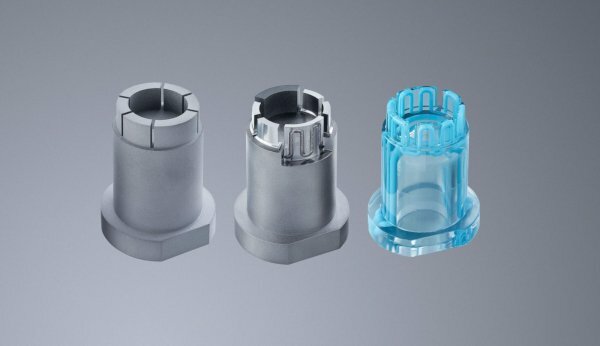 Thanks to this innovative manufacturing process, MAPAL has succeeded in manufacturing clamping chucks in miniature format with HSK-E25 connection, for example for direct clamping of tools with a diameter of 3 mm. And these miniature clamping chucks meet all of the above requirements. In order to guarantee radial run-out accuracy, the clamping technology specialists have integrated innovative clamping chamber systems into the new clamping chucks, which fit snugly against the tool shank. They are equipped with dirt grooves to displace microscopic dirt. The required balancing value is ensured thanks to internal balancing geometries including support structures, which also optimise weight and strength. Overall, with the chucks in a small format, there can be achieved a more homogeneous and spindle-friendly acceleration and braking of the entire tool system consisting of clamping chuck and tool. Thanks to additive manufacturing, MAPAL has succeeded in equipping the clamping chucks for the miniature sector with decentralised coolant outlets. Using parameters such as coolant pressure, setting dimension and spindle speed, these outlets are designed in such a way that they convey the coolant lubricant directly to the cutting point. In the best case, a dosed loss lubrication, which makes subsequent cleaning of the parts superfluous, is achieved. The new clamping chucks from MAPAL in a small format enable simple and quick clamping of the tool. Neither training courses nor high retooling costs or expensive peripheral devices are required for implementation. Because the hydraulic chucks are operated using a simple screw. 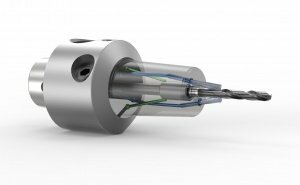 The new small hydraulic chucks also open up new possibilities for workpiece clamping. For example, for clamping hip joint balls. Here the external hydraulic clamping technology is used. Specially shaped chip flutes inside the chuck and a special external geometry ensure that the balls are clamped very precisely and gently at the same time. In medical technology in particular, topics such as reproducible precision are of enormous importance. And this is ensured during machining thanks to the new chucks. The “NextGenerationSpaceframe 2.0” intelligent modular system features a combination of bionically designed and additive manufactured nodes and high-strength, energy-absorbing aluminum extrusion profiles. The concept offers extremely flexible manufacturing, enabling it to support the growing number of vehicle derivatives while still taking economic aspects into account. The collaboration has now been extended by a seamless digital engineering process chain for AM resulting in the implementation of a use case. The project presents a flexibly manufactured lightweight aluminum structure – “NextGenSpaceframe 2.0” as an automotive use case for Siemens. Shorter “time-to-market” for additive manufactured prototypes and small series components for automotive or industrial applications due to a digital engineering process chain. Industrie 4.0 philosophy: combination of 3D-printed aluminum car body nodes with high-strength, energy-absorbing aluminum extrusion profiles combined as highly flexible “on-demand” manufacturing with 3D bending and jigless joining technology for automotive and industry applications. Calculations and actual tests demonstrated that the crash areas can absorb the crash energy as predicted and the AM node did not fail structurally. The costs for AM could be reduced by optimising the process and minimising the support structure. The seamless engineering data process chain has contributed to significantly shorter development and lead times, as well as ensuring a higher level of development maturity. The know-how provided by the EDAG Group in the field of production processes made a significant contribution to the collaboration. Tailored future factory concepts have been created, enabling the components developed for additive manufacturing to also be produced efficiently in larger batches and transferred to actual series production. An important factor in the success of the project is the competence that Siemens brings for factory automation and digitalisation with knowledge from their own manufacturing applications for gas turbines (Finspang and Worchester UK) as well as the know-how provided by EOS GmbH in the field of process technology of additive manufacturing. 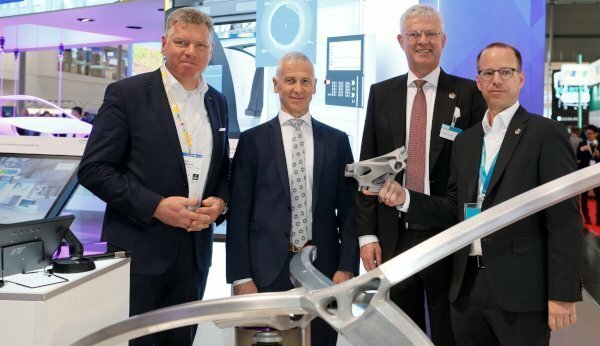 Siemens and EDAG share the goal of building on their respective strengths as project-specific partners and positioning themselves as service provides in the future market for the industrial introduction of additive manufacturing for their respective customers. thyssenkrupp will establish an Additive Manufacturing TechCenter Hub in Singapore this year. The announcement – made at Hannover Messe 2019, illustrates the company’s initiative to bring its engineering and innovation capabilities to customers in Asia Pacific. The future Singapore Additive Manufacturing TechCenter Hub, supported by the Singapore Economic Development Board (EDB), will serve as the regional hub for the company’s Mülheim TechCenter and aims to unlock the potential of additive manufacturing, also known as 3D printing, for customers in Singapore and across Asia Pacific. thyssenkrupp first launched a dedicated TechCenter for additive manufacturing in Mülheim an der Ruhr, Germany in 2017, with capabilities to deliver the full spectrum of the additive manufacturing value chain. Additive manufacturing in Asia Pacific is expected to grow to more than $5.5 billion by 2025 and Singapore is certainly fertile ground for the innovation to grow. The Research, Innovation and Enterprise 2020 or RIE2020 Plan of Singapore, which is the country’s roadmap for research and development, includes additive manufacturing as one of the key enablers that will support the country’s push for leadership in advanced manufacturing and engineering. 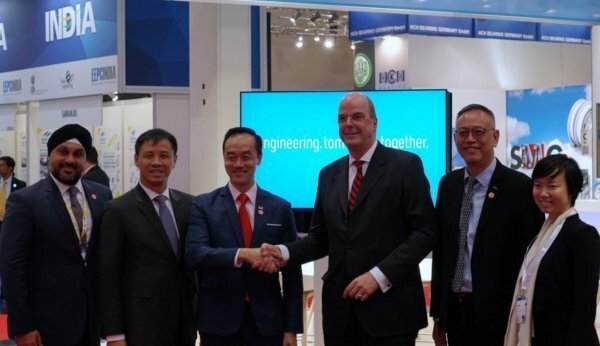 thyssenkrupp’s TechCenter Hub in Singapore, together with the existing TechCenter in Germany, will focus on innovations around additive manufacturing solutions in metal and plastic technologies for customers in automotive, capital goods, chemical, mining and other heavy industries. It will provide a complete range of additive manufacturing services from part identification diagnostics, project delivery to training and capability building. The TechCenter Hub will also host additive manufacturing engineers who will work together with their colleagues in Germany to develop various products and solutions leveraging on this innovation. The announcement comes on the heels of another company milestone, with the signing of a memorandum of understanding (MoU) between Singapore’s Defence Science and Technology Agency (DSTA) and thyssenkrupp Marine Systems in February 2019. The MoU entails the partnership of DSTA and thyssenkrupp in working on new technologies such as additive manufacturing for naval applications.